“It’s been months since I left Boyhood feeling unfulfilled and dissatisfied with nearly a three-hour viewing, and while I’ve let the film digest, I still don’t get the over-hyped appeal. With a nearly perfect 98% rating on Rotten Tomatoes (only five critics out of 258 dared to negatively review) and a 100% ranking at Metacritic (ranks as the highest scored new release for at least this century at Metacritic), New York Times film critic A.O. Scott hails Boyhood as “one of the most extraordinary movies of the 21st century.” And I’m left here wondering…why? The film was recently awarded best picture at the Critics Choice Award and the Golden Globes, and it’s the frontrunner for best picture at the Oscars. Director Richard Linklater explains “I wanted the whole film to feel like a memory–how you might feel if you looked back on your life.” But, the memory isn’t compelling. A straight, white boy grows up in a middle-class family to become an arts student. Groundbreaking, no? 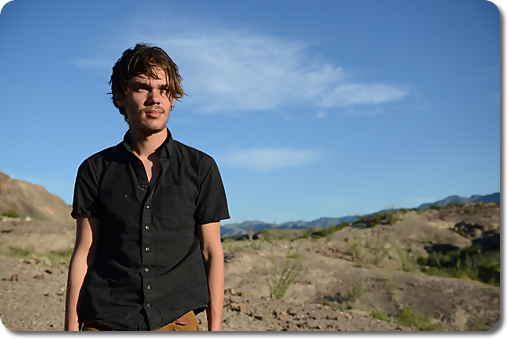 Director Richard Linklater (Dazed and Confused, Before Trilogy) chronicles 12 year’s in the life of Mason (Ellar Coltrane) where we literally watch him mature on screen. Linklater’s 12-year filming project touches groundbreaking territory using the same cast transforming and molding the characters based on the development of the child actors. The film includes notable performances by Ethan Hawke and Patricia Arquette, but those performances couldn’t save a film that I thought coasted on neutral for the entirety of the movie. Sure, it’s a glimpse into one boy’s life, the chaos of divorced parenthood, the struggles and inadequacy of “finding yourself” … but the ups and downs of the movie are minimal while the plot flatlines for three hours. Did I mention anything outside of exalting the nearly perfectly reviewed film is not only frowned upon, but nearly taboo in the circle of critics? Los Angeles Times critic Kenneth Turan chose to not pen his lukewarm feelings toward the heavily lauded Boyhood and shied away unleashing any negativity toward the highly-praised film. Turan, like myself, second-guessed his opinion wondering “had I missed something?” or “did I not get the big picture?” What exactly are we missing here? Turan later revealed his full opinion toward the movie, but moreso in a sense of how lonely in can be to feel like the only one raining on the Boyhood parade. “Blessed Lord Almighty is Boyhood bad: nearly three hours of scene after scene going nowhere powered by tedious, superficial chit-chat. At the two-hour, twenty-six minute mark, Ethan Hawke gets asked “What’s the point?” by-then-former-child-actor Ellar Coltrane (perhaps it was the other way around– I could barely focus on the film by this point). I can’t give you a memorable quote in response to this all-too-valid question, and it’s a dull, uninspired scene. Yeah, he shot this over 12 years, but don’t turn director Richard Linklater into Michael Apted. The UP Series, where Apted filmed the lives of actual British people since they were schoolchildren in the mid-60s, offers real emotion, surprising twists, and, of course, the basis for some limited evaluation of the nation in which the children live. For all of Linklater’s indie cred, Boyhood represents nothing more than a 12-year vanity project consisting of Hollywood pablum where young Mason, Jr. grows up into a stereotypical sensitive artist with contra-mainstream ideals (and, eventually, killer looks, hair, and love interests). The greatest accomplishment of Boyhood is Linklater’s 12-year span of filming, but the composition lacks to inspire or reflect as it merely displays a collection of dull and tedious memories. To put it plainly, Boyhood‘s script is as basic as they come. There are no memorable lines nor any overachievements in acting. Patricia Arquette’s alleged Oscar-worthy scene huffing and puffing and “hoping for more in life” was as bland as Ellar Coltrane’s expressionless reaction to her flustered, teary moment. Is this really the 12 Years a Slave of 2014? Or does this resonate the same way with me as Silver Linings Playbook addressed mental illness two years ago? Absolutely not. Maybe it’s a lack of personal connection that deters me from sipping the Boyhood milkshake, but it’s undeniable that this is a far cry from being hailed the Citizen Kane of my generation (yes, some critics have admit that it has eclipsed the great Citizen Kane). 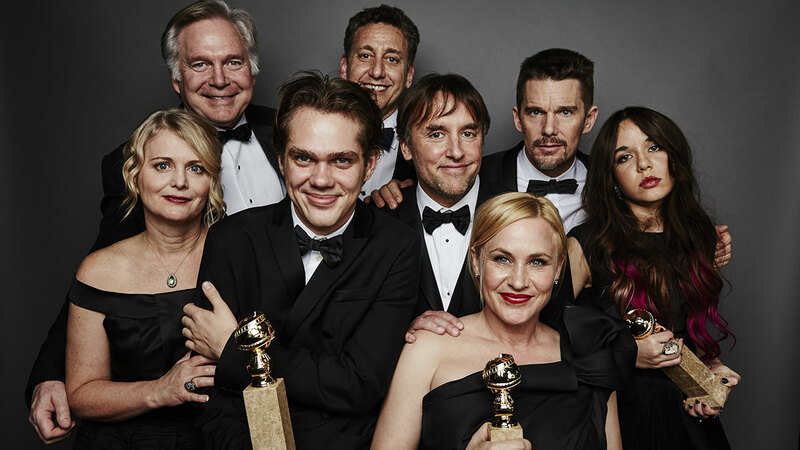 With Twitter constantly trending about how white washed the Oscar nominations, why isn’t anyone talking about Boyhood? I appreciate Linklater’s ambitious project, and I’ll be satisfied when he wins the Academy Award for best director, but I want to be in awe by a film that wins best picture. Avatar broke tremendous boundaries with it’s visual effects years ago, but it was The Hurt Locker that won that year tapping on our backs about war being the ultimate drug. That’s a feeling. Maybe next year. Excellent post! Boyhood was so underwhelming for me. I get that he was trying to embrace mediocrity and what not, but that’s not what I want to see in a film. I want to see something interesting. Exactly. I can see that any day outside of the movie theater. Thanks, Brittani! I think we’ve talked about this a little on Twitter. I love Boyhood and I don’t think I would call it a vanity project. It’s certainly not plot-driven. It’s a movie about life and it looks at it in a very unconventional way. It doesn’t focus on those standard big drama events. It looks at the little moments – the ones that ultimately shape who we are. I was completely enthralled throughout, but it wasn’t until the end when I looked at the movie as a whole that I truly felt I knew what it was about. Each time I have finished the film I have immediately wanted to go and hug my son. It has caused me to reflect on how to be a better dad and to understand that my decisions affect my kids. Or than anything it brings home the realism of time and how we can never get these moments back. Our children literally grow up right before our eyes and we need to cherish every moment we have with them. That’s the kind of emotional pop that Boyhood had for me. Oh I think you’re exactly right. If you don’t connect with it on an emotional level, it’s not going to work for you. That’s why I can understand when people aren’t onboard with it. The part where Mason asks his dad if magic is real? The part where he rants against Facebook and theorizes that the government is trying to brainwash us (such an unoriginal idea that it’s a good chunk of the 1981 film My Dinner With Andre)? The part where he breaks a few pieces of woods with friends? The part where he sits in a diner eating queso and talking about literally nothing? I, like everyone, have experienced all of those moments. They are far from the ones that shaped me however. I mainly reference the “Little moments” in terms of cinema. But I would argue that the culmination of what we perceive as smaller moments are what shapes us. The movie could have easily went the conventional route and showed us his first kiss, his first sexual encounter, graduation day where they throw their caps in the air, I could go on. Movies tend to focus on these events but frankly none of them are more than flashes. Instead Linklater bypasses those life ‘events’ and focuses more what seems like little things. Mason watching his mother make bad choice after bad choice. Mason realizing his mother’s growth, strength, and success through a conversation with one of her students. The conversations with his dad about love and women. That conversation in the diner eating queso that I would argue is more telling about their future than we first think. Those times constantly moving, going to a new school, leaving friends behind. There are so many of these moments in the film. I would say those moments taken together are so much more than the normal stuff we would normally see. Keith, a “coming of age” film doesn’t have to hit the expected beats (first kiss, lost virginity, graduation day, etc) in order to tell a story about critical childhood moments. I’ll give you an example from the criminally underwatched film Chop Shop. Chop Shop is about this homeless 12-yr-old boy who lives and works at this car repair shop in Queens. There’s not much going on throughout. His sister lives there too and works in a nearby taco truck, but they’re having a rough time as you’d imagine (they’re essentially orphans without real guardians). Still, he’s ambitious despite not really having any role models. Specifically, he’s been saving up money to buy a van so they can start a business. Since they’re so poor that they don’t have many entertainment options, they try to do whatever they can to entertain themselves. One of his pastimes, for example, is running down to this backstreet where guys often take prostitutes for a good time in their cars. He’d run up, disturb the activity, and get a good laugh out of their reaction. One day, he goes to do the same but then realizes that this time the prostitute is actually his sister. In retrospect, it explains some of her behavior from earlier in the film, but more than anything else it speaks to their desperation. In the next scene you would expect the kid to confront his sister in some way. Instead, while she’s working in the taco truck, he sneaks up while she’s not looking and puts the hundreds of dollars he’s been saving for their future truck business into her tip jar. It was his way of getting her not to prostitute herself. It was a great moment. It’s a moment where a young boy comes face-to-face with the harsh realities of the world. Although his childhood as a whole is unconventional and shapes him, that moment specifically has an enduring effect on his innocence. And want to talk about “real.” That’s real. That’s how a 12-year-old would process that situation. He wouldn’t lecture his older sister. He would make a logical deduction. “She’s doing this for money, so I’ll give her money.” Boyhood never comes close to that. It feels contrived by comparison. The film hopskips in between moments, subtly hinting at the events that have happened in the intervening years but not showing any real effect on his behavior or outlook on life. As someone with an incredibly strong personal connection to this story (a white middle-class boy with divorced parents and a manic mother), I can say that, yes, this film truly moved me. It hits really really close for me. It feels just like life. I’ve actually been in a few of these exact scenes. The passing of time as the actors really age is unlike anything I’ve seen. Is it the best movie of the year? No. Is it overrated? A little bit. Did I think that kid, by the end, was an annoying douche? Yes (my only real criticism). But I have no problem with Linklater getting some recognition here, if nothing else than for trying something unique without knowing it would work and for being such a leader in American independent cinema. Thanks, Kevin. I’d be completely fine seeing Linklater win, because you’re absolutely right–it was something unique that could succeed or totally fail. Very ambitious in the film society. This movie was so bad. I mean, the more I think about this, the more I’m convinced that it really is the worst movie of the year. I just can’t with all this hyperbole surrounding this movie and the awards it’s winning. PLEASE, ANYTHING, BEAT THIS AT THE OSCARS! Although, I can’t agree that Linklater deserves an Oscar for directing this over 12 years. He didn’t direct anything good…so, what’s the point. Ambition is wonderful. Dedication is wonderful. But when you have nothing to show for it, it’s pointless. Thanks, Andrew! I tried to like this movie so much, but I couldn’t. And there are no reviews out there focusing on the negative aspect, so I figured I’d contribute. I find the need to use Rotten Tomatoes as a measure to call something “overrated” to be problematic for me. It doesn’t mean I have any issues with the premise of your post, however. I just wish that you spent less time on what critics thought about it and more on why Boyhood didn’t work for you. I also don’t think it’s really fair to look at one movie’s whiteness to discuss larger issues with diversity in Hollywood. There’s a big problem with lack of representation, especially with the awards. However, Boyhood takes a lot from Linklater’s (and Hawke’s) childhood with divorced parents. It’s a personal story of one family. I’m sorry to come off negative with my comments. This is an interesting post! I’m totally cool if you didn’t like Boyhood, and while I liked it a lot, there are areas where it doesn’t work so well. Coltrane isn’t an amazing actor, but I found that his awkwardness worked because he wasn’t polished. It’s also a bit too long and would have had a stronger impact with me with a shorter final hour. Even so, there was plenty that worked for me. I have to disagree about Patricia Arquette. I found her character to be the most interesting part of the movie and wish we’d spent more time with her in the second half. I also loved the progression of Ethan Hawke’s character, who began as a selfish idiot and went to places I didn’t expect. I also found myself more interested in Mason’s sister than his story. 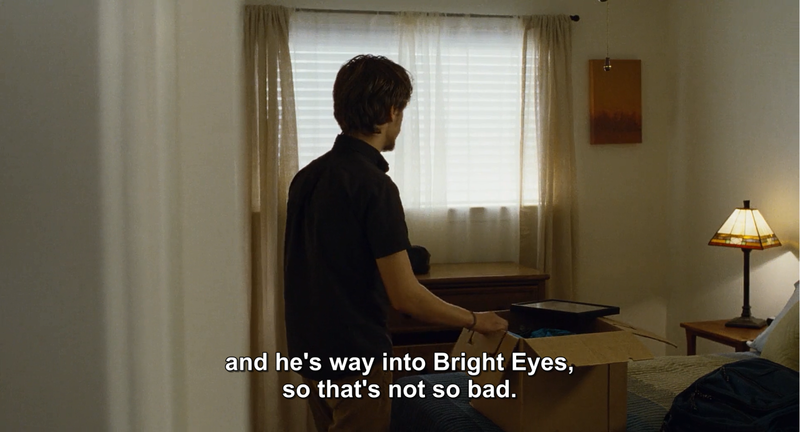 For the Oscars, I’m most interested in Boyhood winning because of how much I admire Linklater. I’ve loved so many of his movies, including Waking Life, the Before trilogy, Slacker, and Dazed and Confused. There are very few of his films that I haven’t liked. It would be a great honor for a guy who’s been plugging away for so long. Your comments aren’t negative; I’ve been waiting for someone to disagree with me! I think my biggest complaint could be editing; if it had been slimmed down more, maybe I could have focused on the little milestones and the acting. That’s a good point. I did feel the length, especially in the teenage section. That was one of the reasons it didn’t end up even higher on my top 10 list (it was #8). I added the disclaimer because it’s hard to read tone on the Internet. Glad you’re cool with it! I haven’t seen it and don’t plan on it, but everything about this movie looked so… boring. I thought The Babadook and Under the Skin were also some of the most overrated films of the year. I’ll let it slide. Just this one time, though. Hi Courtney! I haven’t seen this but I’m curious to see it just to see which side I’ll be on, ahah. Loving that review you quoted, good stuff. I am starting to think I’d like this more if I were a guy – I see a lot more men liked this than women. Not that the experiences a boy has are that different from girl’s – especially that for the 3h of the movie that boy is a bland canvas – but who knows, maybe it’s a factor. Still, Arquette sucked. Bland canvas is absolutsly right. Im ready for the movies of 2015 now! Thanks, girl! LOL I’m pretty sure you meant “blank canvass” but “bland canvass” was so much more appropriate. Well I’m glad someone’s saying it! Thank you so much for writing this! I have seen tons of critic reviews about how “profound” this movie is, and I just didn’t get it. I do think filming the same actors for 12 years is a huge accomplishment. However, I don’t think that’s an excuse for the acting and screenplay to be lackluster. Besides seeing the same actors grow up over a 12-year span, I didn’t think the film had much else to offer. I was left feeling disappointed. Boyhood was one of the most overrated films I’ve seen in a long time. I did enjoy it, but yeah I do find it a tad overrated. I really want to comment this post, but can’t because of some security issues 😦 But yes, glad to know someone understood my feeling. I appreciate the breakthrough, but it feels like all those 12 years is a waste when Ethan Hawke said he (and adults) actually never know what to do with life. I wish it had a better quote on things. I didn’t like the boy when he’s about to go to college.